Some will miss the more string orchestrated arrangements and refuse to immerse themselves in this album devoted to technology, showcasing a heavy synthesizer sound. Which is a shame. 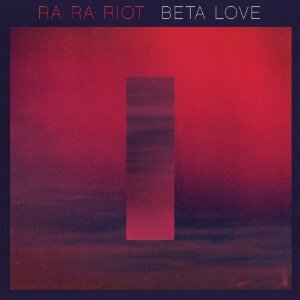 We first adored Ra Ra Riot precisely for this sound, but we LOVE bands that have the guts to try something new, willing themselves to change and grow. “When I Dream” is an outstanding effort of blending old and new; Miles’ falsetto is spot on and familiar clever lyrics abound. “Binary Mind” uses the synthesizer almost organically, it’s integrated so well. Not every song is as deftly composed and orchestrated, but these two songs give us hope that the next album will show even more changes of a band having the time of their lives.